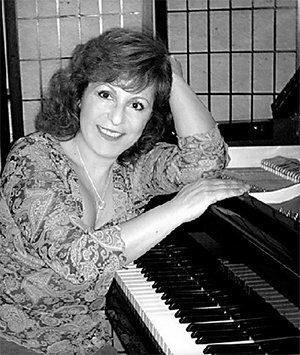 Dr. Jelena Vladikovic first honed her piano skills in her native Serbia. 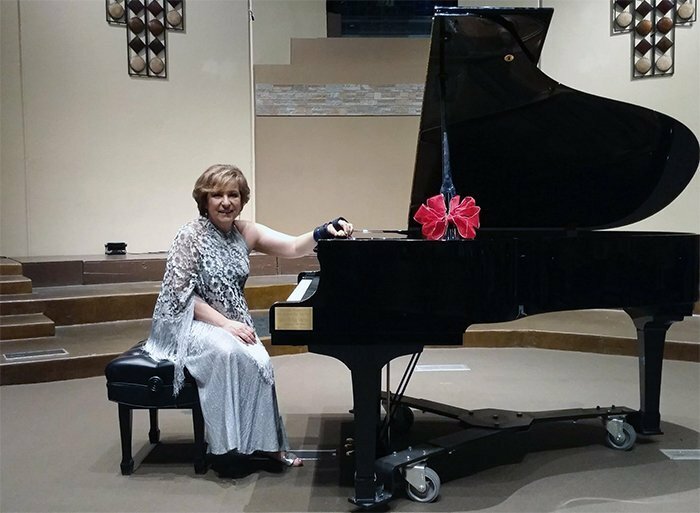 The GCU piano faculty member will perform a recital Friday that commemorates the 50th anniversary of her first solo performance under artist management. Dr. Jelena Vladikovic owns a string of pearls. She owns the story, too, of how she came to possess them. 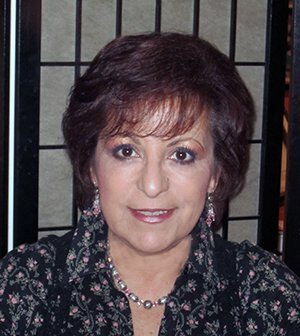 Vladikovic was sitting in her modest office in Coulter, a room dominated by a piano on which countless Grand Canyon University students have sat and soaked up nuggets of artistic brilliance from the mentor they lovingly call “Dr. V.” Clearly, she has moved them — just as she feels moved by a composer’s work and hopes her passion, in turn, moves her audience. Vladikovic spent 18 years as a journalist and in public relations before returning to music. She hopes to do just that with her free-admission performance of the work, which will be part of her faculty recital at 7 p.m. Friday in the Recording Studio in Building 57. 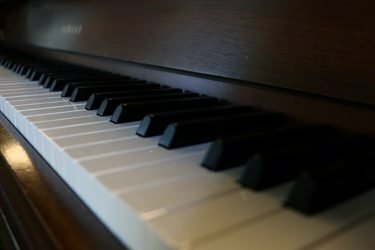 The recital is an important one for the College of Fine Arts and Production professor of piano because it celebrates 50 years since she gave her first solo recital under artist management. “It’s me going back down memory lane,” she said. She doesn’t remember much about that first recital, she said. People have asked her if the performance, called “Celebrating the Past, Inspiring the Future, 1968-2018,” will include works from back then. Not that Vladikovic was always as brilliant when it came to her piano playing. She admits she was a terrible student. Nonetheless, she seemed destined to be a musician, having come from a musical family. Her grandfather was a professional violinist, her mother one of the most prominent piano professors in the former Yugoslavia and her uncle the concertmaster of the Luxembourg Symphony. “I started when I was 7. They stuck me with a violin,” she said. She and that violin did not get along too well, as she recalled. When their relationship didn’t quite work out, she asked to play the cello, but her family wouldn’t give her one. For her, it would be the piano. She was adamant, she said, about leaving music school. She was just a little thing when she marched to the office to turn in the form to quit. Of course, the secretary laughed and conveniently “lost” the form. But two years later, something interesting happened. The Yugoslav Association of Music Teachers brought in some distinguished professors from Moscow. “Those are the people that build generations of performers, and they brought them to conduct seminars for the teachers,” she said. The piano professor, Evgeny Timakin, was going to take on eight students, and Vladikovic’s mom insisted she be among those who would audition. Vladikovic will perform three sonatas by D. Scarlatti, Piano Sonata No. 17 in B-flat Major by W.A. Mozart, “Vallee d’Obermann” by F. Liszt and Piano Sonata No. 1 by S. Prokofiev. Alas, her plan did not work. She was one of the eight Timakin accepted as a student. That’s when Vladikovic realized that these lessons would be taught in front of 200 teachers and that, with so many eyes on her, she’d better practice. But it was a good decision for her. That’s when she started to travel to Rome for lessons with Guido Agosti, taking the 1½-hour flight from Belgrade to Rome at least one weekend a month. She also would take immersive piano workshops in Belgium and Siena, Italy. When she started teaching at the university level, she was only 22 years old, barely older than the students she was teaching. She was also still just a student herself, studying for her master’s degree at a different university. So Vladikovic decided to do something different. She went to Canada, to which much of her family had emigrated. She decided to start her studies for a doctorate but then had her son. She got married and said she was going to be a mom for a while. She retired from performing when her son was 2 years old, though she would still give community concerts. “When my son started school, I was bored stiff,” Vladikovic said. That’s when she decided to get her journalism degree. “I always wanted to do journalism,” she said, then moved from there to public relations and graphic design. Vladikovic has been teaching at GCU for almost seven years. That’s when she returned to teaching and decided to finish the doctorate she never got to finish before her son was born. She taught at Arizona State University for about seven years. Vladikovic’s recital on Friday will feature pieces of music that connect her to her own professors over the years. She’ll be performing three sonatas by D. Scarlatti – K. 132 in C major, K. 466 in F minor and K. 125 in G major, which she worked on with Agosti. Also in the repertoire is W.A. Mozart’s Piano Sonata No. 17 in B-flat Major, the first piece she worked on with Timakin. She’ll also perform S. Prokofiev’s Piano Sonata No. 1 Opus 1. But it’s the Liszt work, “Vallee d’Obermann,” that seems to draw the most out of her. She said the work’s melody returns again and again in different shapes over 15 minutes. The works for her recital, she said, also represent a walk through the ages, starting with a Baroque work and ending with a piece from the 20th century. You can reach GCU Today senior writer Lana Sweeten-Shults at lana.sweeten-shults@gcu.edu or at 602-639-7901. Follow her on Twitter @LanaSweetenShul.